The new petroleum and cement terminal was budgeted at $124 million. Even then, the city was short on money and starting to scramble, Falsey said. 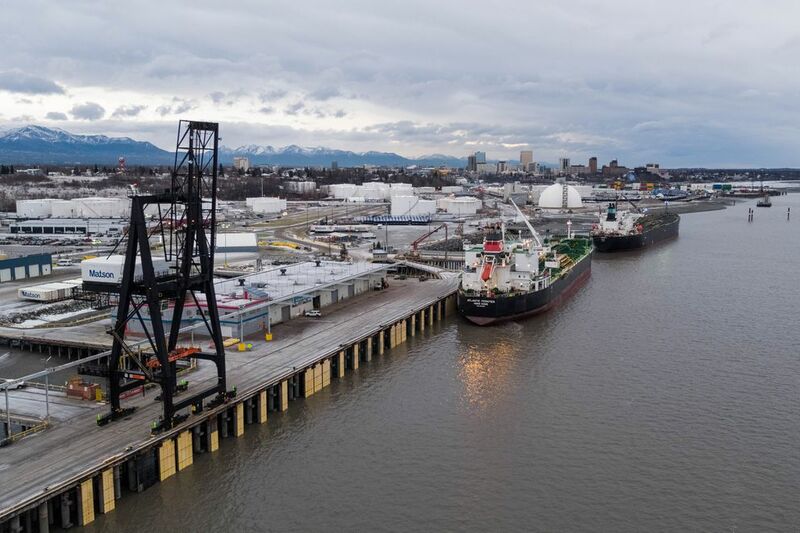 At a recent Anchorage Assembly committee meeting, a dramatically different price tag emerged for the terminal: $223 million. There was no one cause for the higher cost, officials said. Instead, a litany of price changes had added up, from dredging work to risk mitigation to protections for marine mammals, Jeff Bool, a project manager with the engineering firm CH2M, said during the meeting. CH2M is the project manager and is now owned by Jacobs Engineering. A number of assumptions apparently didn’t pan out. For instance, the Army Corps of Engineers had said it could dredge the silty waters near the port, Bool said. But after the contractor sent in a permit application, the agency backed out, Bool said. “We ended up holding the bag on everything,” Bool told Assembly members. Other changes that came during design included a higher platform for an anticipated sea level rise in the next 75 years, according to Bool. The project team then applied the higher costs associated with the petroleum and cement terminal to the rest of the project, Bool said. That led to a new overall price tag of $1.9 billion. The previous estimate had been about $1 billion. A CH2M representative could not be reached for comment Thursday. 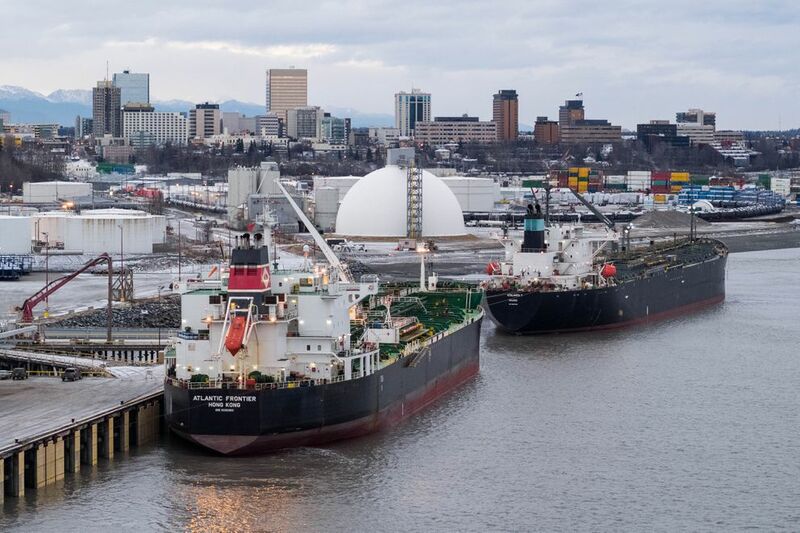 In the near term, the city needs to come up with $200 million to build the petroleum and cement terminal. 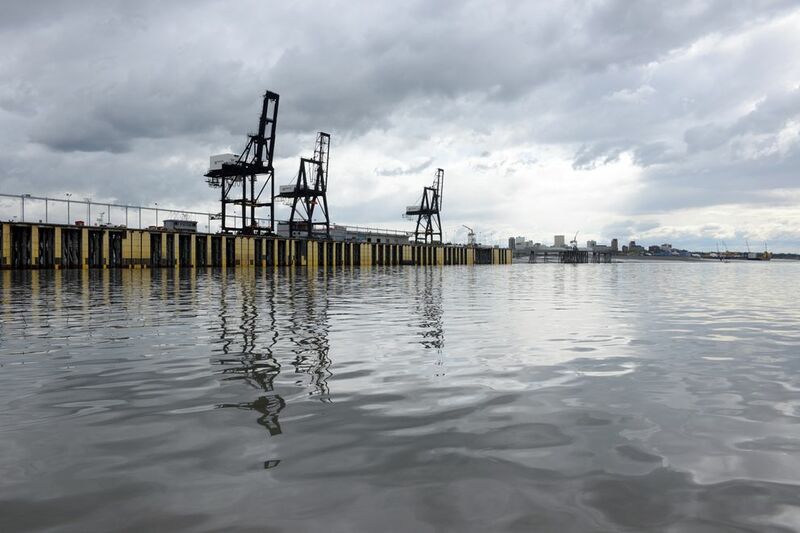 Without a big injection of state or federal funding, the port, which opened in 1961, will resort to revenue bonds, backed by a tariff that raises the price of goods that come through the port, Falsey said. That pinch will come first at the gas pump. Five years from now, according to a preliminary proposal, Alaskans would pay about 3 cents more for each gallon of gas. The price would rise slightly each year, potentially starting in April. Future phases of the project include new cargo terminals, which handle groceries and other consumer products. Additional tariffs would mean everyone would pay a little more for a gallon of milk, a loaf of bread, a car or a sheet of plywood. 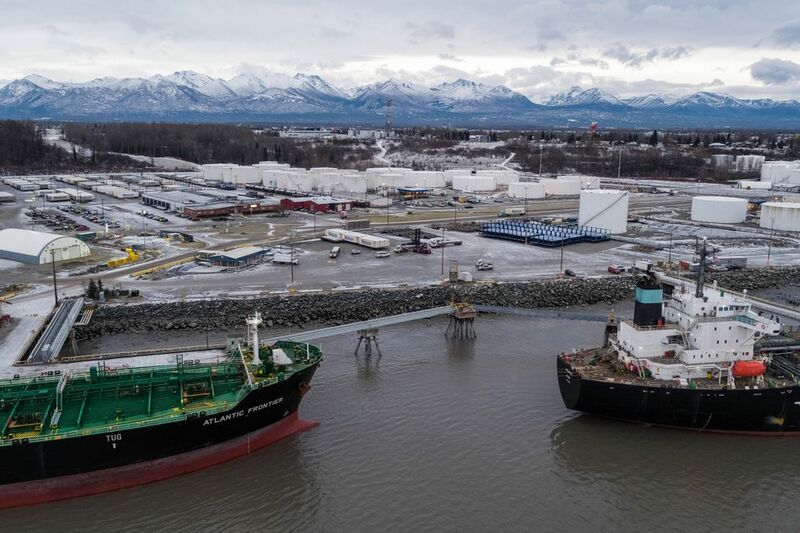 Anchorage has been grappling for years with how to finance repairs to the aging Port of Alaska, a critical piece of state infrastructure. An estimated 85 percent of the state’s homes and businesses receive imported cargo from the port. Officials watched nervously as the port withstood the 7.0 earthquake that struck Southcentral Alaska on Nov. 30, 2018. 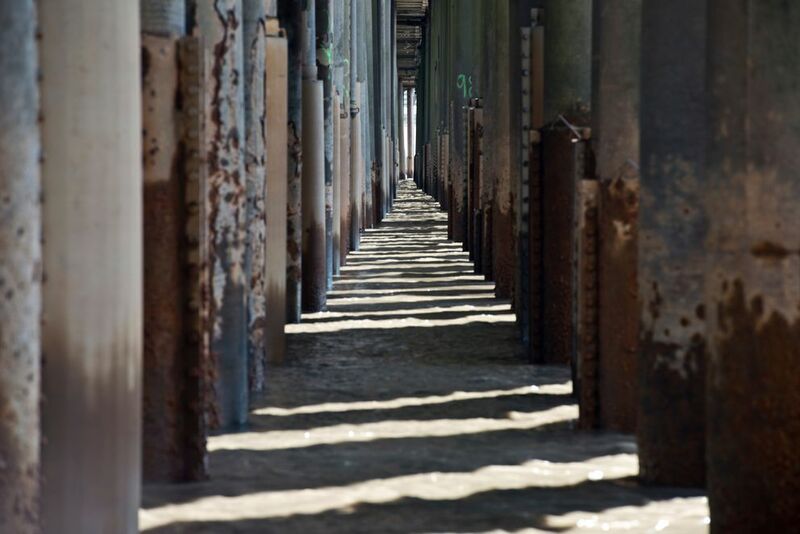 In 2014, the city embarked on the “modernization” plan to replace the corroding docks while keeping the port. The administration of Mayor Dan Sullivan hired CH2M, then known as CH2M Hill, to manage the project. The current mayor, Ethan Berkowitz, took office in mid-2015. Ever since, Berkowitz has made port funding the city’s sole legislative priority for state funding. But a failed expansion project, abandoned in 2010, ate up tens of millions of dollars in taxpayer money and left a trail of physical and political damage. An ongoing lawsuit has so far failed to recoup more than a small amount of that money. 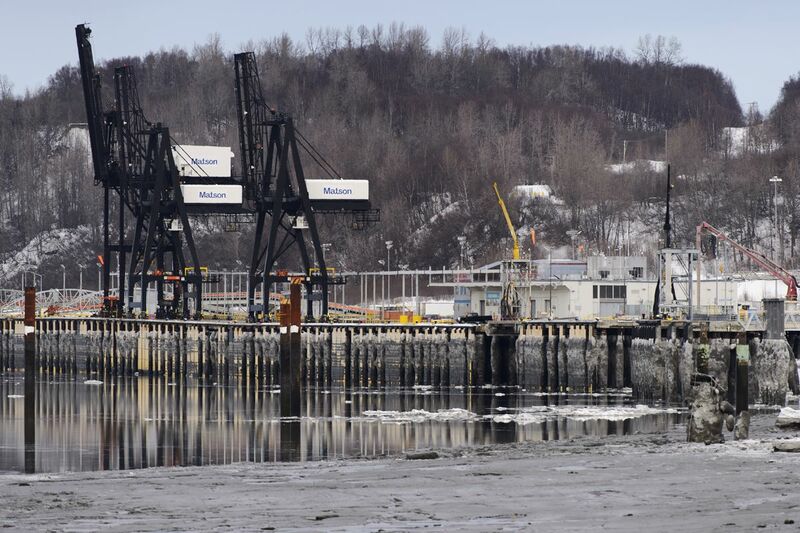 Pleas for the state and federal government to foot the bill, meanwhile, have largely gone unanswered, even as officials issue increasingly dire warnings about the condition of the failing docks. The state Legislature authorized a $20 million grant for the port in 2018, but it isn’t clear if more money will materialize. The Berkowitz administration became aware of the significantly higher cost for the modernization project in late fall 2018, Falsey said. The administration spent a lot of time questioning the numbers before making them public, Falsey said. Tens of millions have already been spent in design, permitting and other preparation work, Falsey said. Construction is slated to start on the new petroleum and cement terminal in 2020. Falsey said officials don’t expect the new cost estimate to change much. But he said city officials plan to look aggressively for ways to bring down the price tag for the rest of the project. “We do not want to build a $2 billion program,” Falsey said. “It seems like an effort to grab money,” Constant said. Higher tariffs would be felt across the state, including North Pole and Fairbanks, Constant said. The rocky financial picture is emerging as port searches for a new lead engineer. The longtime project engineer, Todd Cowles, is in jail, awaiting trial on attempted murder charges after police said he tried to drown his young daughter. Cowles told police he had been having trouble at work and that the port was “failing,” according to a charging document in the case. Sharon Walsh, a deputy port director, has stepped into the job for now.